A safety valve is a valve that acts as a fail-safe in a thermal-hydraulics plant. 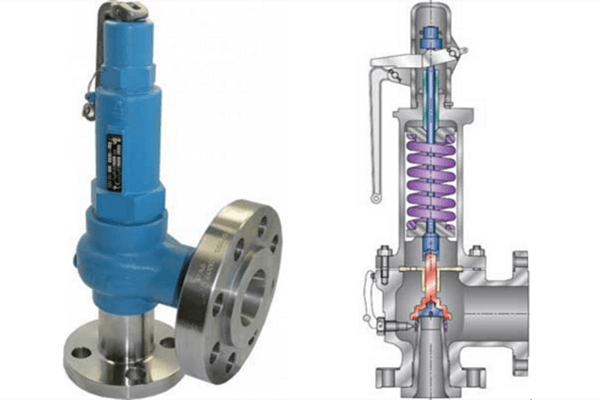 An example of safety valve is a pressure relief valve (PRV), which automatically releases a substance from a boiler, pressure vessel, or other system, when the pressure or temperature exceeds preset limits. Pilot-operated relief valves are a specialized type of pressure safety valve. Safety valves were first developed for use on steam boilers during the Industrial Revolution. Early boilers operating without them were prone to explosion.